Tewkesbury Museum has received a Heritage Lottery Fund (HLF) Sharing Heritage grant, it was announced today. This exciting project, ‘Memories of Ashchurch’, led by Tewkesbury Museum, has been given £9,400 to to tell the story of Ashchurch Army Camp, and find out more about its remarkable history and its influence on the town of Tewkesbury. Tewkesbury Museum collects and preserves objects of relevance to the history of the area covered by the town and surrounding villages. With an emphasis on voluntary support, our exciting new project will give the community a chance to discover the rich, colourful and sometimes troubled history of Ashchurch Army Camp. 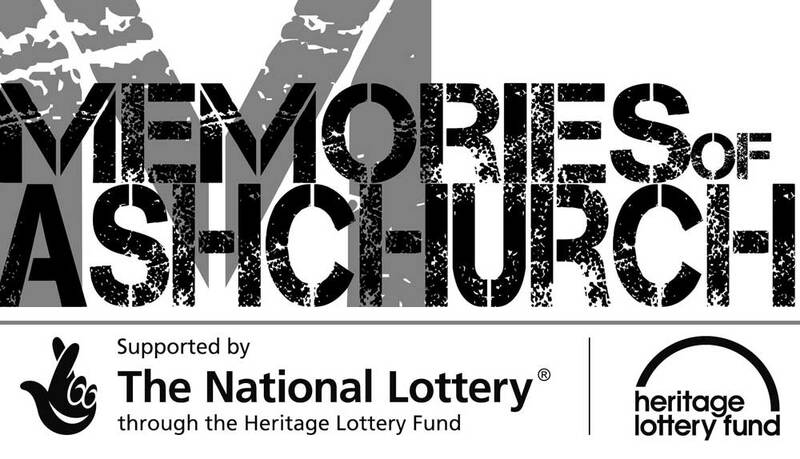 This oral history project aims to collect memories about life, work and the Army at Ashchurch. We will hold reminiscence workshops and event days, interviewing people with a connection to Ashurch Army camp, both military and civilian. Your stories will be at the heart of this project. 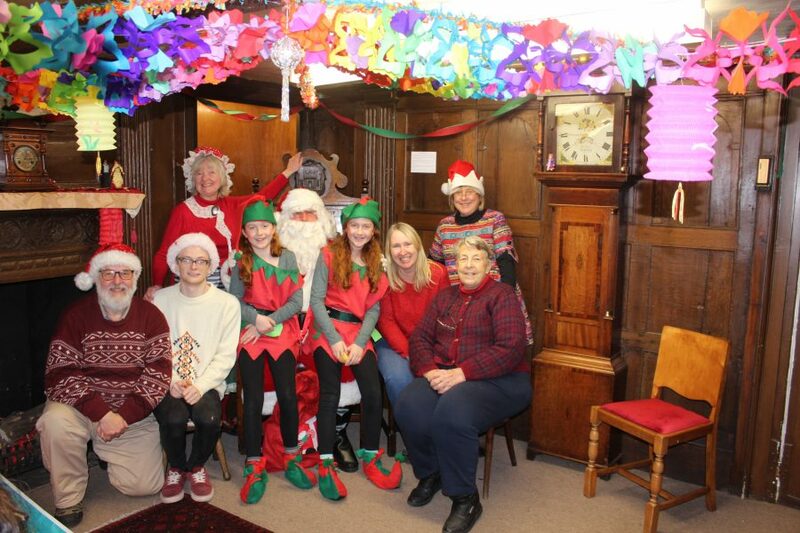 ‘Memories of Ashchurch’ creates exciting new opportunities for Volunteers, who will receive Oral History Training, learning new skills in researching and documenting our interesting local history. Volunteers and staff will work together to produce fascinating educational resources for both young and old alike. If you would like to volunteer with us, please get in contact with the staff at Tewkesbury Museum. Tewkesbury Museum is an independent charitable trust which aims to collect and preserve objects of relevance to the history of the area covered by the town and surrounding villages. The Museum will place special emphasis on the educational potential of its collections by documenting, conserving, promoting, and providing access to our collections and archives. Thanks to National Lottery players, we invest money to help people across the UK explore, enjoy and protect the heritage they care about – from the archaeology under our feet to the historic parks and buildings we love, from precious memories and collections to rare wildlife. www.hlf.org.uk @heritagelottery. For further information, images and interviews please contact Maggie Thornton on 07773466156 or Graeme Kilgour on 07867686278. 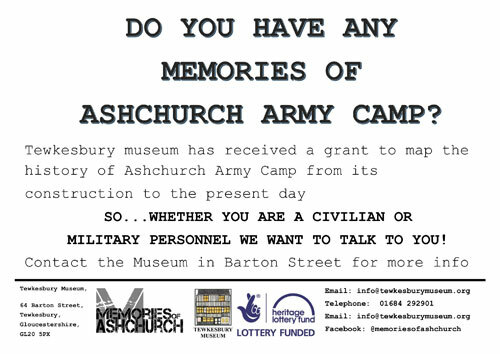 Do you have any memories of Ashchurch Army Camp?